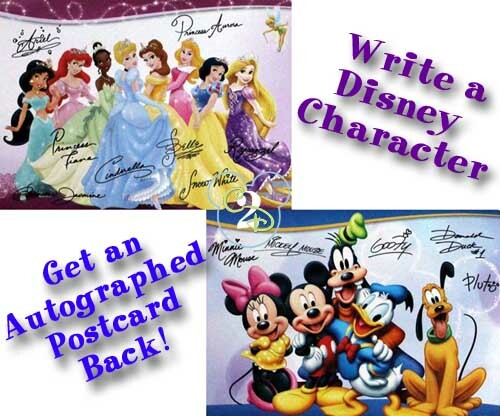 Did you know that you can write a letter to a Disney character and get a postcard in return? There are 2 addresses that you can send your letters to. We recommend you send a letter to both addresses.